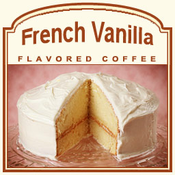 French Vanilla is a classic flavored coffee with its smooth, creamy vanilla flavoring that will encase your taste buds and take them on a delicious ride of sweetness. Made with 100% authentic Arabica beans, this French Vanilla coffee has a full vanilla flavor with extremely creamy overtones. Whether you want this French Vanilla coffee served in your favorite mug or over ice, the sweetness of the vanilla will tantalize your taste buds with its tongue-pleasing full flavor. With only 2 calories in each cup, you can indulge in this classic flavor without feeling guilty. Roasted and shipped on the same day, this French Vanilla flavored coffee will be preserved and fresh in a heat-sealed valve bag. 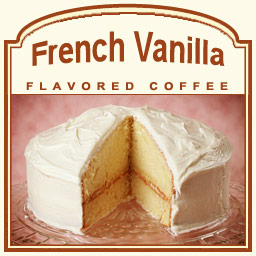 This French Vanilla flavor is perfect for those who love smooth and creamy coffees.